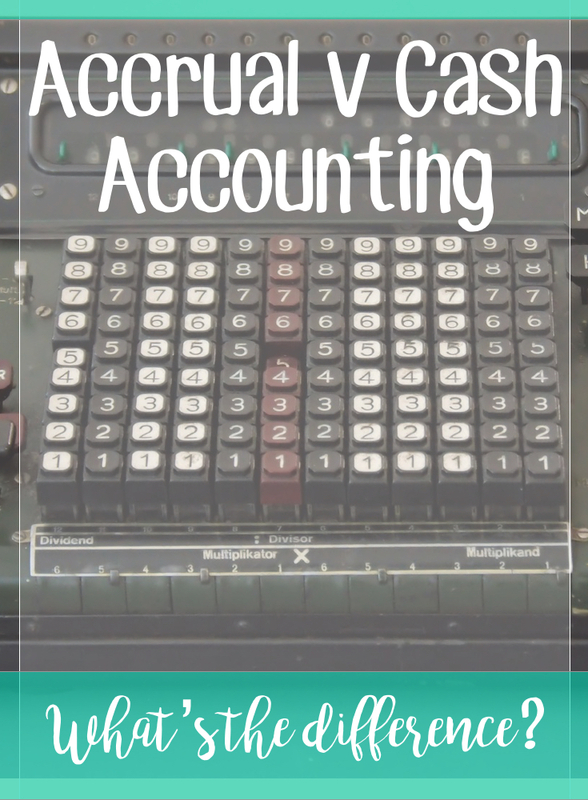 What's the difference between accrual and cash based accounting? The main difference between the two methods of accounting are when you recognise when revenue is received and when expenses are paid out. For the cash method of accounting, an order is only added as revenue when payment is received for it. The accrual method of accounting instead counts the revenue when the order is first received, regardless of any payments made. E.g I sell a silver bracelet for $50 on March 14 and invoice the customer on the same day. I however only receive payment for the bracelet on the 18 April. Under the cash method of accounting, $50 would appear as revenue on the 18th April. Under the accrual method, $50 would appear as revenue on the 14th March. For the cash method of accounting, a bill is only added as an expense when payment is made for it. The accrual method of accounting will counts the outgoing money when the bill is first received, regardless of any payments made. E.g I purchase some office supplies for $100 on March 14 and pay for the supplies on 18 April after delivery. Under the accrual method of accounting, $100 would appear as an expense on the 14th March. Under the cash method, $100 would appear as an expense on the 18th April.